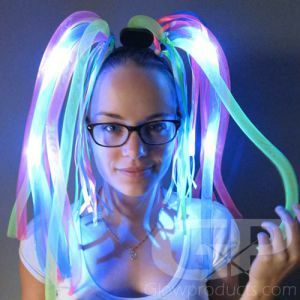 - Light Up Head Band with Alien Heads! 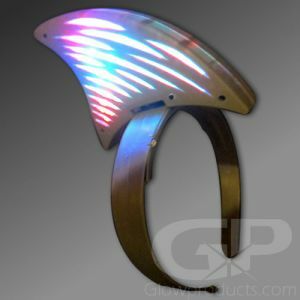 - Alien Heads Flash with Green LED Lights! 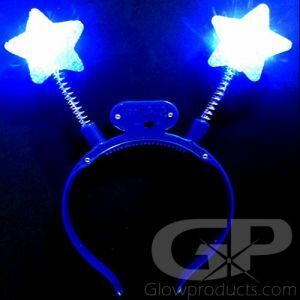 - Batteries Included and are Replaceable! - Halloween! UFO Parties! Costumes! Take us to your party! 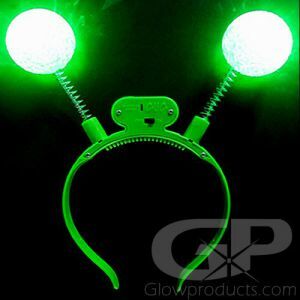 Green Flashing LED Headband Boppers with Alien Heads are a fun way to add some light to any glow in the dark birthday party, UFO theme party or dance, festival or costume. Or just to let our Martian friends know that we're OK with them invading Earth, as long as they're here to have a good time. 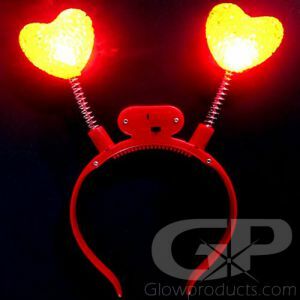 Each Light Up LED Alien Head Band comes with 3 pre-installed AG13 batteries which are replaceable so you can keep your flashing LED Alien Deely Bopper glowing all night long, or at least until the mothership takes off! 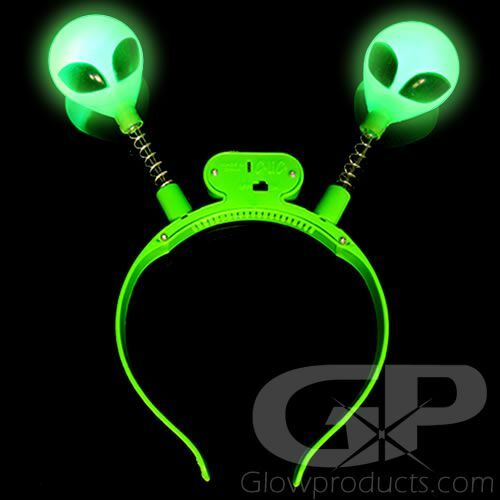 The glow in the dark Alien Boppers have green flashing LED lights, and the head band fits just about everybody. 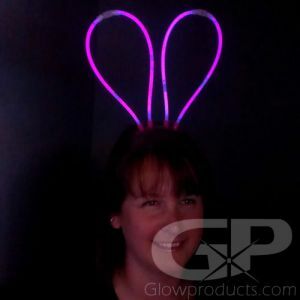 Instructions: Remove the battery protection tab and flick the switch to turn on the Alien Head LED Glowing Head Boppers. 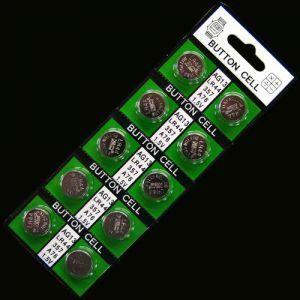 The Light Up Alien Shape Head Boppers take 3 pieces AG13 button cell batteries (already installed & replaceable).